Marco is currently Research Associate at the Centre for Energy Economics Research and Policy. He works with members of BP Group Economic Team on the Statistical Review of World Energy and Energy Outlook 2035. Marco obtained his Master in Economics at the Catholic University of Louvain (Belgium) in September 2010. In May 2011, he was awarded his Ph.D. in Economics and Finance by the University of Verona (Italy). In December 2015, he obtained the degree of Ph.D. in Economics from the University of Glasgow. 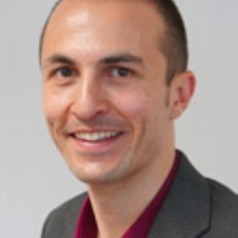 Marco also worked at the Scottish Government - Office of the Chief Economic Adviser - and as teaching assistant at the University of Urbino (Italy) and the University of Perugia (Italy).